OCCUPIED JERUSALEM, (PIC)– Greek Orthodox Archbishop of Sebastia Atallah Hanna demanded lifting the Israeli siege on Gaza and expressed his solidarity with the people of the blockaded enclave. While receiving a delegation from Gaza Strip in Occupied Jerusalem on Sunday, Hanna condemned the Israeli siege, saying that “the suffering of Gaza is our suffering”. The delegation included 15 figures from Gaza. They acquainted Archbishop Hanna with the tough living conditions in besieged Strip . The delegation also conveyed the greetings of the Gazan people who appreciate the standings of Archbishop Hanna and his national role and efforts for uniting Palestinians and highlighting the Israeli violations in Occupied Jerusalem. Gaza has been subjected to Israeli siege for ten years which affected all aspects of life. Three Israeli aggressive attacks were waged against the blockaded enclave over the past few years, which led to the killing of thousands of Palestinians and the injury of tens of thousands of others in addition to huge destruction of infrastructure and vital facilities. UN-brokered talks at resolving the six-year conflict in Syria have reached a dead end due to refusal of the Syrian regime to discuss political transition in the country, an opposition negotiator said. Speaking to Anadolu Agency, Riad Hijab said that the Bashar al-Assad regime has evaded from discussing political transition during recent UN-mandated talks in Geneva. “With every round of negotiations, the regime begins to escalate its bombardment and commit massacres against the [Syrian] people,” said Hijab, the coordinator of the High Committee of the Syrian opposition in negotiations. Hijab said that the Syrian opposition has suspended its participation in the UN talks due to massacres committed by the regime against Syrian civilians. “Any return to the negotiations would require creating a favourable climate, which currently does not exist,” he said. “The Syrian people are still suffering,” he said, citing a recent escalation in attacks by the Assad regime. “We have seen an unprecedented escalation by the regime and its allies Iran and Russia against the Syrian people, using banned weapons as phosphor and napalm bombs,” he said. UN-mandated talks between the Syrian regime and opposition to look into ways of resolving the six-year conflict collapsed in late April. UN envoy Staffan de Mistura said on Thursday that the international body will not hold another round of Syrian talks until both sides agree the parameters for a political transition deal, which has an August 1 deadline. “I have informed the Security Council just a few days ago…The time is not yet mature for the official third round of the intra-Syrian talks,” de Mistura said. He said that a series of “low-profile” technical meetings, meanwhile, will be held in various cities to discuss issues ranging from the role of the Syrian army and national institutions after any peace deal. “The first of August is attainable, should be attainable and we should be aiming at that one,” de Mistura said. Hijab further accused the Assad regime and allied Iran of stoking sectarianism in the region. He also criticised attempts by Russia – which began airstrikes against Assad’s opponents in September – to designate the opposition Jaish al-Islam and Ahrar al-Sham groups as “terrorist” organisations. “The two groups are defending the rights of the Syrian people and are working to remove the regime,” he said, going on to call on the international community to “show a real resolve to guarantee political transition” in Syria. Dr. Samir al-Qadi, member of the Palestinian Legislative Council, was among one of at least nine Palestinians arrested by the Israeli occupation forces early Sunday, 12 June, in armed night raids in Jerusalem and throughout the West Bank. Al-Qadi, 60, was arrested in an early-morning military raid on his home in Surif, northeast of Al-Khalil. He is a member of the Change and Reform Bloc in the PLC, associated with Hamas. Al-Qadi was among at least four Palestinians arrested in al-Khalil district, alongside Ahmed Abdelfattah Hudoush, 30; Izz al-Ghaith; and Shaher Daoud, 40; as well as three in Jerusalem, Mohammed Ruweidi, Hamza al-Nimr and Musa Dabbagh, all working in the Islamic Waqf; Amer Samih Hamdan, 17, of Bethlehem; and Thaer Abu Zaher, 25, of Deir Bzeigh near Ramallah, reported the Palestinian Prisoners’ Society. He has been arrested and imprisoned by Israeli occupation forces on multiple occasions in the past, in 1997, 2006, 201 and 2014, generally under administrative detention without charge or trial. He joins 6 more PLC members in Israeli prisons: 4 fellow Change and Reform Bloc PLC members, Hassan Yousef, Hatem Kufaisheh, Mohammed Abu Teir, and Abdel Jaber Fuquha; Ahmad Sa’adat, the General Secretary of the Popular Front for the Liberation of Palestine, elected on the Abu Ali Mustafa slate; and Marwan Barghouthi of Fateh. Palestinian prisoner Nassar Nasser Mohammed Nassar, 21, launched an open hunger strike in protest of his imprisonment without charge or trial under Israeli administrative detention. Quds News reported that Nassar announced his hunger strike on Thursday, 9 June, demanding his freedom and an end to administrative detention without charge or trial. He was then immediately transferred to solitary confinement in Ofer prison by the Israeli prison administration. Nassar was arrested in al-Khalil on 15 March 2016 and ordered to administrative detention after interrogation. Nassar was born on 26 December 1994 and lives in Dura, al-Khalil, occupied Palestine. 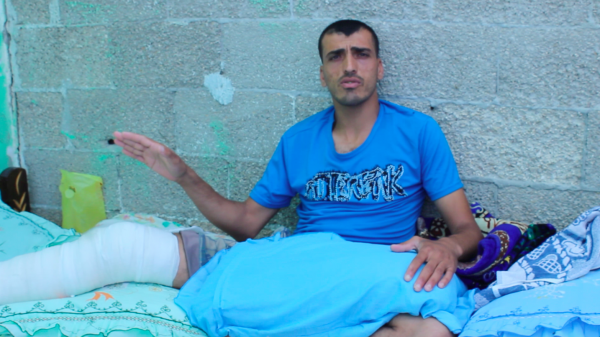 He joins fellow hunger striker Malik Qadi, 18, on hunger strike for 19 days to protest his torture and abuse under interrogation. There are approximately 750 Palestinians imprisoned without charge or trial under administrative detention. Despite widespread international condemnation and clear evidence that the systematic Israeli practice of imprisonment without trial violates international law, including the Fourth Geneva Convention, the number of Palestinians imprisoned under administrative detention has risen dramatically since October 2015. A number of prominent Palestinian administrative detainees have engaged in hunger strikes to win their freedom including Khader Adnan, on two occasions; journalist Mohammed al-Qeeq; and lawyer Mohammed Allan, among many others. Several collective hunger strikes, including the 2015 “Battle of Breaking the Chains” and a 2014 hunger strike of over 100 administrative detainees, have demanded an end to the practice. 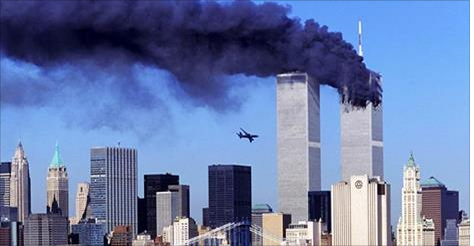 CIA Director John Brennan and other American officials are trying to hide Israeli and Saudi tracks in the September 11, 2001, terror attacks, says a former US official. J. Michael Springmann, a former US diplomat in Saudi Arabia, made the remarks on Sunday over Brennan’s claims that Saudi Arabia will be absolved of any responsibility for the 9/11 attacks based on 28 classified pages of a congressional report into the incident. Springmann told Press TV that the spymaster was “absolutely mistaken,” as many key US politicians along with American intelligence agencies have acknowledged Saudi Arabia’s role in the attacks. The Saudis were indeed involved “either through money or through assistance or through participation by high-level government or well-connected rich individuals,” he added. Controversy surrounding Saudi Arabia’s role in the 9/11 attacks surged in May, when the US Senate passed a bill that allowed the families of 9/11 victims to sue the Riyadh regime for damages caused by the tragic event. Springmann said according to the CIA, Congress could end the debates by simply releasing the hidden portion of the report. “So they can declassify, they don’t have to wait for the executive branch, John Brennan or [US President] Barry Obama,” the analyst noted, adding that so far Obama has made promises in that regard but is not likely to deliver. The Office of the US Director of National Intelligence is currently reviewing the pages to decide whether they can be declassified. Riyadh has threatened that it might sell up to $750 billion in US securities and other assets if it is connected to the deadly attacks that killed some 3,000 people. The United Nations blacklisted Saudi Arabia after concluding in a report released last week that it was responsible for 60 percent of the 785 deaths of children in Yemen last year, but quickly scratched it from the list after facing threats by the kingdom to stop funding UN programs. Springmann noted that although Saudi tracks in the attacks were visible, Israel’s role in the attack should not be ignored as well. 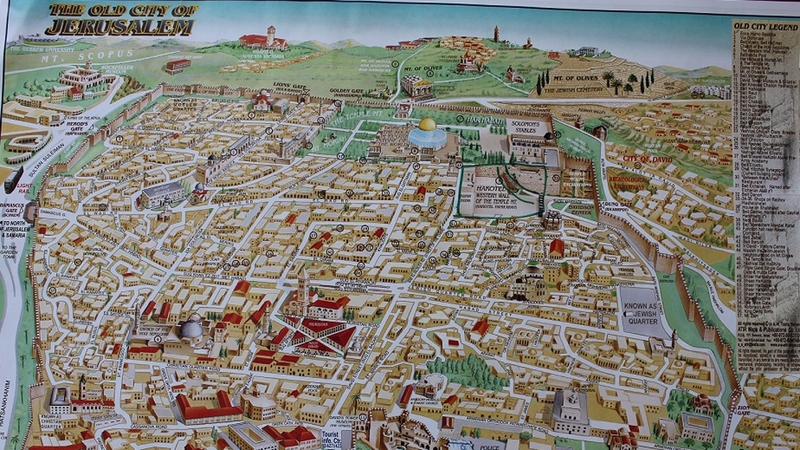 Israeli ministry’s map of Jerusalem’s Old City marks historically unimportant sites and omits key non-Jewish holy sites. Jerusalem – In groups of twos, threes and families, visitors shuffled towards the ticket booth at the City of David archaeological park. Sunscreen was reapplied, mineral water sipped, and shekels exchanged for paper tickets. It is a typical touristic scene that plays out thousands of times daily across Jerusalem. But the City of David park, located in the heart of a Palestinian neighbourhood in East Jerusalem, is not a regular attraction. It is a touristic settlement managed by Elad, a private political organisation that facilitates the purchase and takeover of Palestinian homes in the Old City and occupied East Jerusalem in an effort to increase Jewish settlement. The City of David site features prominently, in large, bold red letters, on the Israeli tourism ministry’s official Old City map, which is distributed free of charge at official tourist information centres in Jerusalem. But the nearby al-Haram al-Sharif, or the Noble Sanctuary, a 14-hectare compound that comprises Islam’s third holiest site, al-Aqsa Mosque, as well as the Dome of the Rock, is only referred to by its Jewish name: the Temple Mount. Although these major tourist attractions have always been promoted in most touristic literature about Jerusalem, al-Aqsa Mosque is illustrated on the official Old City map – albeit anonymous – while the Dome of the Rock is mentioned. Meanwhile, dozens of sites of questionable historical importance, many of them Jewish settlements in the Muslim and Christian quarters of the Old City, are highlighted by the mapmakers in an “Old City Legend” numbered guide. Among 57 numbered sites, almost half are buildings occupied by Jews in the Muslim quarter of the city, many unknown to licensed tour guides. A number of yeshivas, Jewish religious schools, as well as synagogues purchased by Jews in the Muslim quarter of the Old City, are managed by the Ateret Cohanim organisation, a right-wing nonprofit organisation that seeks to replace Palestinian residents of the city with Jewish-Israeli settlers. Like Elad, Ateret Cohanim is a nationalistic settler group. In recent years, it has pursued a legal campaign to evict Palestinian families from their homes in the Old City in order to replace them with Jewish families. “There are a bunch of sites that are not only historically unimportant, but that are run by settlers,” said Betty Herschman, director of international relations and advocacy at Ir Amim, an Israeli human rights NGO that gives tours of East Jerusalem to diplomats and other parties. One licensed Jerusalem tourist guide, who did not want to disclose his name, noted that the map favoured Jewish sites regardless of their touristic value and appeared religiously skewed. This map, in addition to erasing important Muslim and Christian holy sites in the Old City, completely erases entire neighbourhoods around the historic basin, supplanting them not only with Hebrew names but with the names of settlements. While buildings like Beit Wittenberg, Beit Danon and Beit Eliyahu feature among the list of 57 sites, there is no room on the list of the numbered sites for the Church of St Anne or the Church of the Redeemer, although the latter is on the map with a tiny, hard to find name. Aziz Abu Sarah, a Jerusalemite who cofounded Mejdi Tours, told Al Jazeera that the exceptions do not make sense from a business perspective. “I think that a lot of Israeli tour operators and tour guides, even right-wingers, would agree with me that a touristic map should show the treasures of the city,” said Abu Sarah. The Israeli Ministry of Tourism defended the map when contacted by Al Jazeera. “The map, which was produced in cooperation with tour guides and took into account their recommendations and the vast knowledge they have accumulated, is useful and convenient, listing the main tourist sites,” the ministry said in a statement. 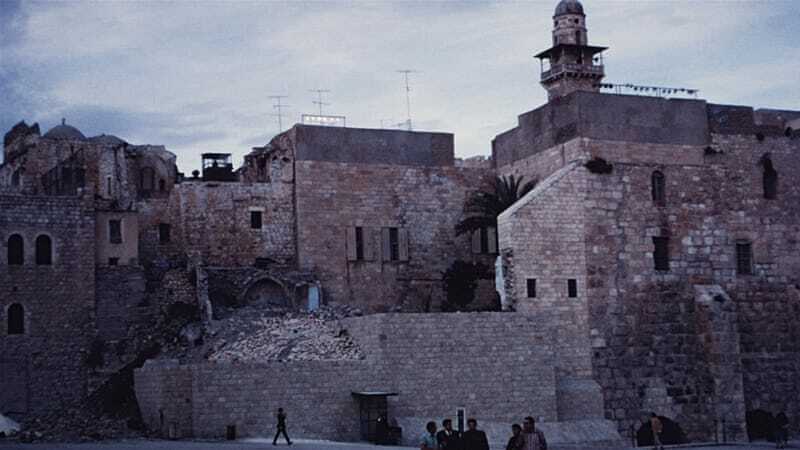 However, Abu Sarah suggested that the inclusion of certain sites inside and outside the Old City walls seemed to promote a Jewish nationalistic representation of East Jerusalem. Indeed, the Palestinian neighbourhoods outside the Old City walls are absent on the map, apart from Ras al-Amud, while Jewish-only settlements built in those neighbourhoods are represented. The City of David is easily spotted, but the neighbourhood of Silwan that surrounds it is not labelled. Palestinian communities, including At-Tur, Wadi al-Joz and Issawiya do not appear, but the settlement of Maale Har Hazeitim is labelled with the Star of David. “This map, in addition to erasing important Muslim and Christian holy sites in the Old City, completely erases entire neighbourhoods around the historic basin, supplanting them not only with Hebrew names but with the names of settlements,” Herschman told Al Jazeera. 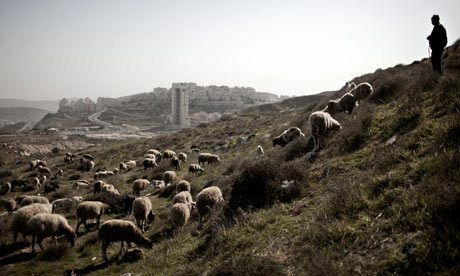 These settlements, added Herschman, are built by radical settlers within the heart of Palestinian neighbourhoods; namely, Bet Orot, a community of 150 settlers living in the Palestinian neighbourhood of At-Tur, that does not even appear on the map. Maintaining the Palestinian identity of East Jerusalem is a crucial plank in the “two-state solution” to the Israeli-Palestinian impasse as the neighbourhoods would form the capital of a future Palestinian state. In this context, the settlements are seen as an attempt to disrupt Palestinian territorial contiguity in East Jerusalem in order to ruin Palestinian plans to have East Jerusalem as its capital city. “The map is legitimising private settlement around the historic basin,” Herschman told Al Jazeera. CAIRO: Egypt’s Minister of Health Ahmed Emad al-Din Radi ordered Saturday to close a hospital in Alexandria over committing “serious irregularities,” according to a statement from the ministry. The decision came upon a report issued by a committee tasked with inspecting Talaat Mostafa Hospital, after a video footage has circulated on social media showing that the hospital officials kicked out two brothers (15 and 14 years old) when their mother was unable to pay the medical treatment fees. On Sunday, the ministry has transported the two brothers to Ras al-Tin Hospital to receive the medical care; one of the two brothers was suffering fractures and gastrointestinal bleeding after a motorbike accident. The ministry’s first under-secretary Magdy Hegazy said in the statement that the committee has monitored that the closed hospital has no license for its laboratory, dentist’s clinic, and Physiotherapy. 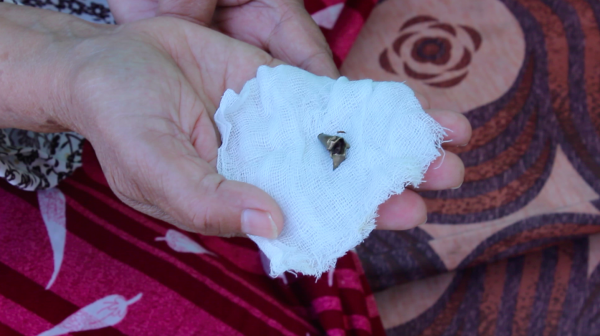 The hospital also has not enough medical staff for patients’ services, he continued.